Dr. Chip Harbaugh grew up in Atlanta in the Druid Hills area.He and his wife, Dana, live in the Johns Creek area and enjoy spending time with their five children and four dogs. Dr. Harbaugh enjoys engaging patients to help the parents in the early years understand the joys as well as the concerns of parenthood. He likes teaching about development as well as disease process so the parents can fully understand their child. As children grow from infants, to toddlers and then Middle School and even High School, they will need a guiding hand in both educational and social issues. Our job as pediatricians is to make sure that each child achieves to be the best person they can be as an adult. Children are the future of our families and our society. Recently, he served as CEO and Chairman of the Board of Kids Health First Pediatric Alliance. It is a metropolitan Atlanta Independent Physician Association (IPA), which is physician-owned and driven by 37 private pediatric practices and 210 pediatricians covering 750,000 patients. Dr. Harbaugh founded the organization in 1996 and has served as its leader until recently. 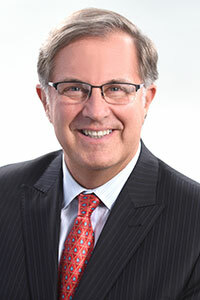 With a special interest in medical quality improvement and advocating for patients, physicians and dentists, Dr. Harbaugh has held numerous other positions outside of his clinical practice. He has served on the American Academy of Pediatrics’ COPAM (Committee on Practice and Ambulatory Medicine) and was recently appointed to the American Academy of Pediatrics’ National Conference and Exhibition Planning Committee Group. He was also elected to the Executive Committee of the Section on Administration, Practice Management for the national AAP and serves on the organization's Steering Committee on Quality Improvement, Child Healthcare Financing Committee and Accountable Care Organization Committee. The Centers for Disease Control and Prevention (CDC) – appointed Dr. Harbaugh to their Clinical Laboratory Improvement Advisory Committee (CLIAC) in 2007 to help with the interface of public healthcare and the physician and dental community. In addition, Dr. Harbaugh represents the American Academy of Pediatrics on United Healthcare’s Physician Advisory Board with the goal of bridging the gap between physicians and payors to improve quality while decreasing healthcare costs.